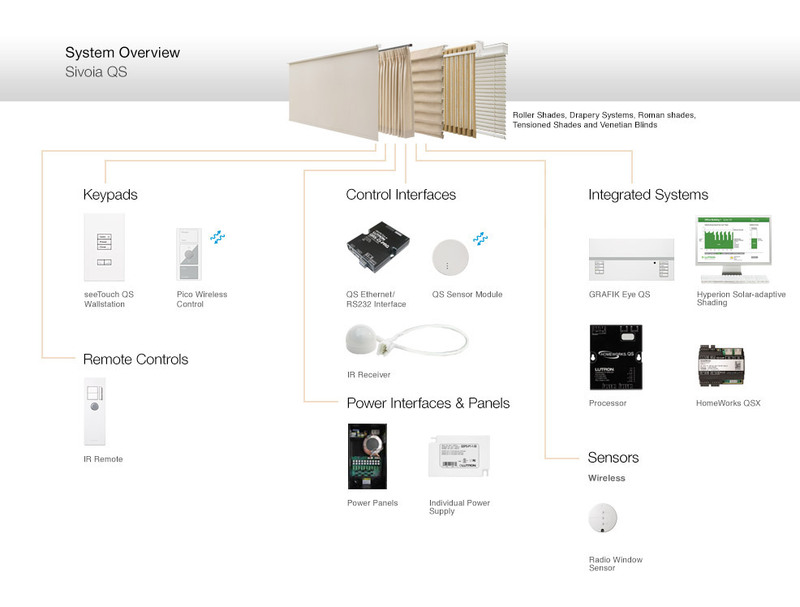 The diagram above provides an overview of the components that constitute the Sivoia QS shading system, as well as compatible Lutron products. You can refer to the categorized list below to find a complete list of components with more detail about select products. Control the Sivoia QS shading system at the touch of a button with programmable, easy-to-use keypads. Sivoia QS can be powered via the following supplies. Sivoia QS can use the following interfaces for convenient, reliable daylight control. Complement any décor with our wide array of automated window treatment styles. Set the perfect mood from the palm of your hand with a Lutron IR remote control.